Shows » How Much Do Birds Eat? How Much Do Birds Eat? There used to be a saying about somebody who doesn’t eat much — “she eats like a bird.” But how much does a bird typically eat? As a rule of thumb, the smaller the bird, the more food it needs relative to its weight. 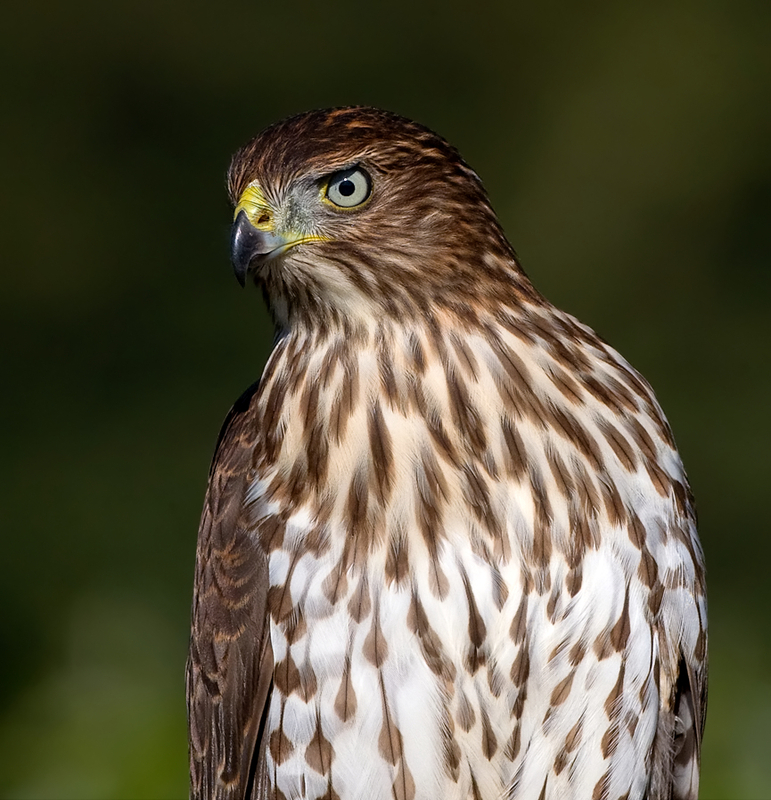 A Cooper’s Hawk, a medium-sized bird, eats around 12% of its weight per day. For a human that weighs 150 pounds, that’s 18 pounds of chow, or roughly six extra-large pizzas. And that perky little chickadee at your feeder eats the equivalent of 35% of its weight. 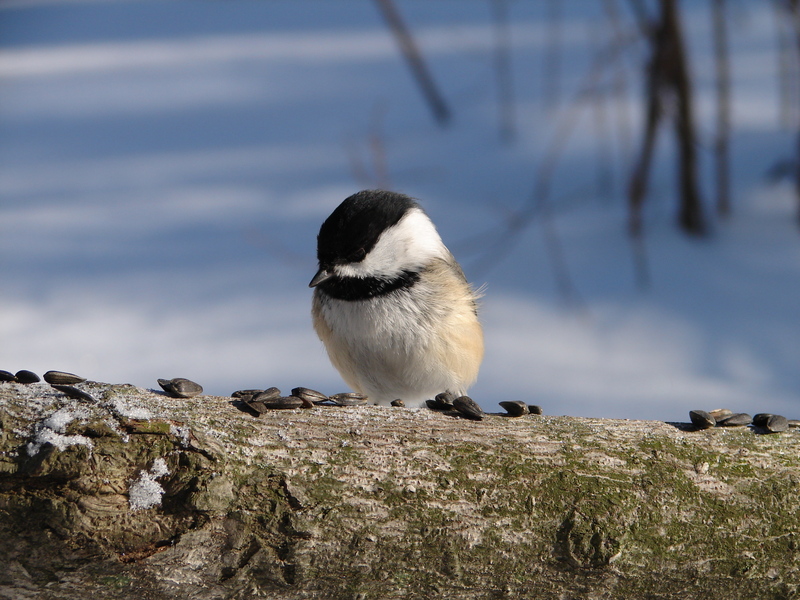 You, as a 150-pound chickadee, will be munching 600 granola bars a day. 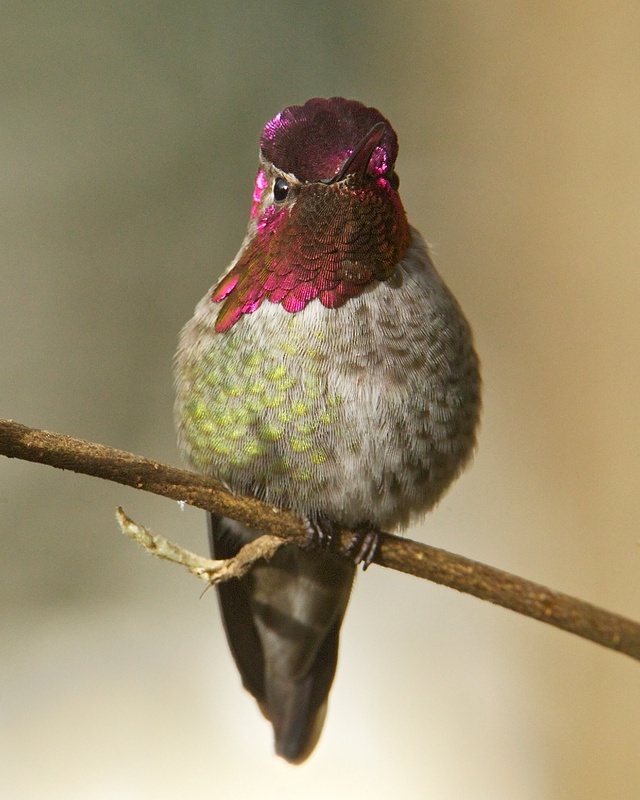 And a hummingbird drinks about 100% of its body weight per day. That means you’ll be sipping 17½ gallons of milk. There used to be a saying about somebody who doesn’t eat much — “she eats like a bird.” Just a little of this and a smidgen of that. But how much does a bird typically eat? And how much would you have to eat to match it? Well, depends on the bird. As a rule of thumb, the smaller the bird, the more food it needs relative to its weight. 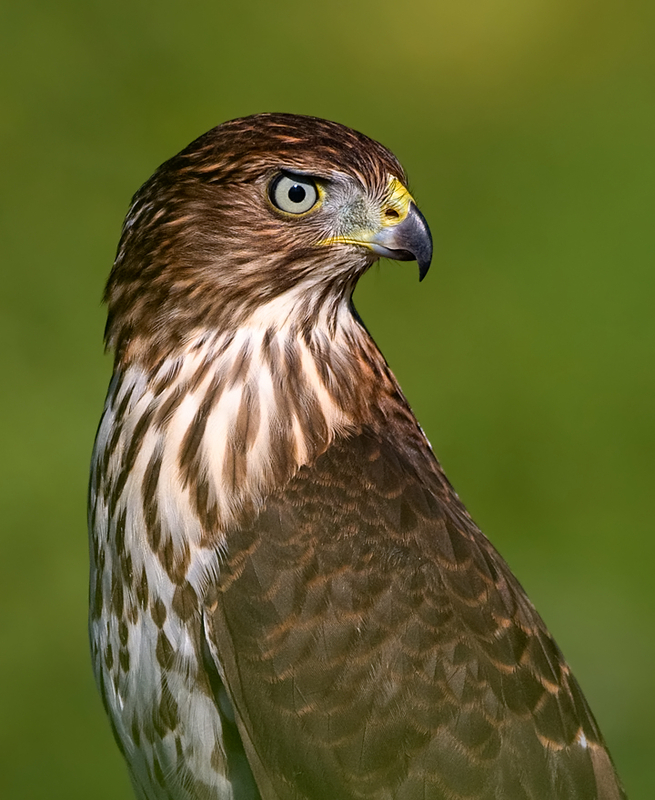 A Cooper’s Hawk, a medium-sized bird that hunts other birds, eats around 12% of its weight per day. For you, if you weigh … say … 150 pounds, that’s 18 pounds of chow — roughly six extra-large pizzas. That perky little chickadee flitting back and forth for sunflower seeds from your feeder eats the equivalent of 35% of its weight. 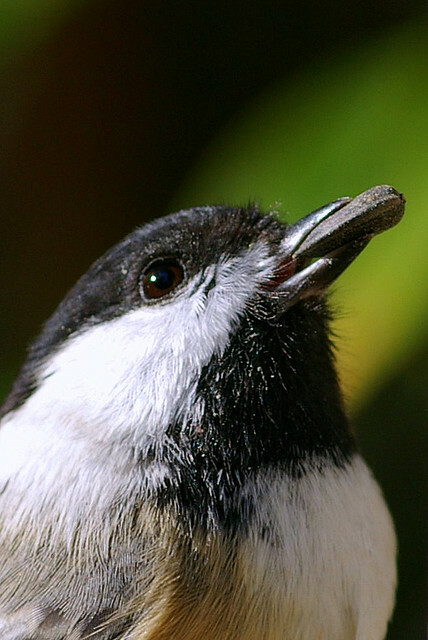 You, as a 150-pound chickadee, will be munching 600 granola bars a day. And a tiny hummingbird? It drinks about 100% of its body weight per day. That means you’ll be sipping 17½ gallons of milk. Prefer wine or beer? 18 gallons. If it’s warm outside, you can probably get by on a bit less. But if it’s cold, you’ll need more. So you’d best stock up. Call of the Pine Siskin provided by The Macaulay Library of Natural Sounds at the Cornell Lab of Ornithology, Ithaca, New York. recorded by G.A. Keller,  recorded by Gerrit Vyn, and  recorded by S.R. Pantle.